Every piece I design uses a combination of at least 5 different printed fabrics. They are assembled with my signature stitched seams on the outside which accentuates the various prints and the asymmetrical shapes used to craft the designs. My first is a line of unique "upcycled" tops and dresses. 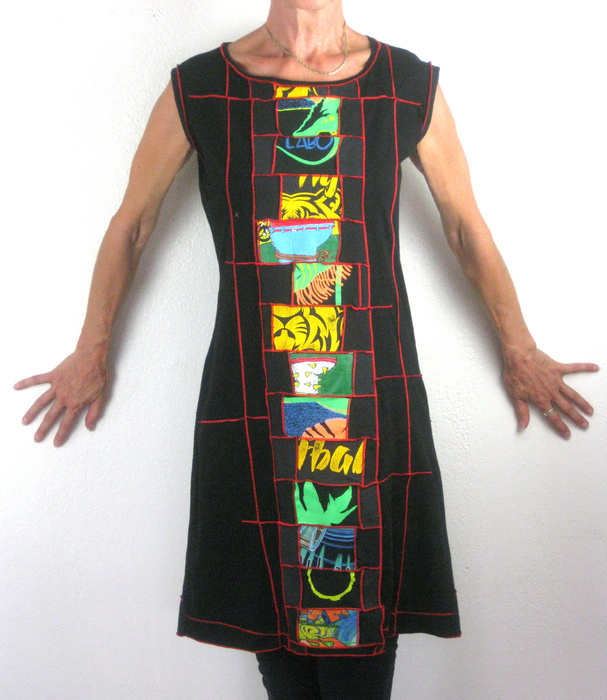 In each piece I repurpose discarded printed T-shirts, disassembling and then reusing them to create a unique piece. The prints I employ to give it its own theme. I complete the designs with embellishments such as monoprinting and embroidery. My second clothing line is of limited edition pieces. 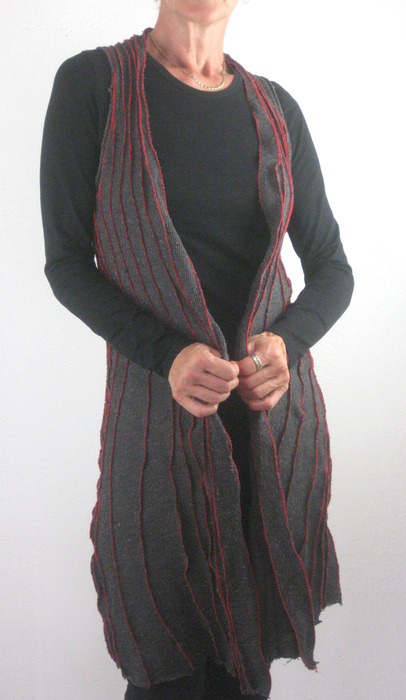 I design tops, tunics, jackets and vests using dynamically asymmetric shapes and colorful seams. 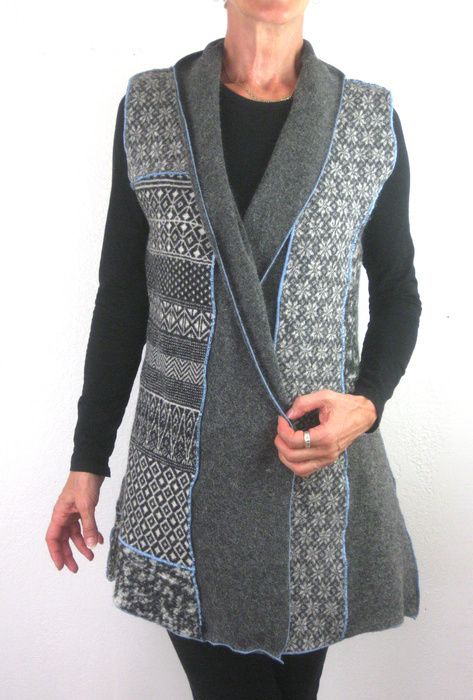 The tops, tunics and vest are made from printed fabrics. The jackets are of solid colors, accentuated by the outside seams and finished using mono print. I design and produce my entire collection by myself, in my beautiful studio.